For some music streaming subscribers, having access to 30 million songs wasn’t enough if they couldn’t listen to their favorite remixes that were unreleased by the major record labels. Now, Apple Music and Spotify have begun adding unofficial DJ remixes to their massive catalogs, according to TechCrunch. The new mixes come as a result of a partnership with Dubset, a music rights management company. Dubset works by scanning a remix and figuring out all the songs involved in the DJ edit so that it can pay a royalty back to the original rights-holders. An unofficial Beyoncé remix, for example, would earn money for Sony Music because the label owns the rights. 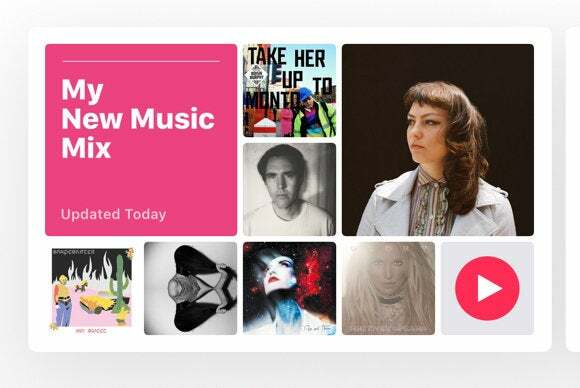 Apple Music inked a partnership with Dubset back in March, and Spotify followed suit in May. The Dubset-sourced tracks are just now starting to show up on the streaming services, but it’s just single remixes, for now. Dubset CEO Stephen White told TechCrunch that full DJ sets, usually an hour-long and consisting of about a dozen different songs, are coming to Apple Music and Spotify soon. According to White, 700 million people listen to unofficial remixes a month. But record labels usually try to take them down because they consider it to be piracy. Now with the help of Apple and Spotify, Dubset hopes to change the labels’ mentality and work to make unofficial remixes not only legal but profitable. Why this matters: Unofficial remixes, especially user-uploaded content by up-and-coming DJs, is what draws about 175 million people to SoundCloud every month. These mixes have also set SoundCloud apart from other streaming competitors. However, it’s been a bumpy road for SoundCloud, as it grows and tries to become a legitimate streaming service. Sony pulled all their music from SoundCloud last year, before finally reaching a deal in March—just in time for the company to start offering a paid subscription service. Just last week, The Financial Times reported that Spotify was looking to acquire SoundCloud. That deal would give Spotify access to SoundCloud’s massive catalog of 125 million tracks: Some from the record labels, some from a similar Dubset agreement, but some that are illegal user-uploads. We’re not sure Spotify would want to get itself into a copyright infringement minefield, especially since it has already figured out the Dubset part of the equation.